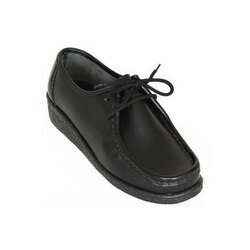 We are one of the leading manufacturers and suppliers of the wide range of Kids School Shoes. The product is manufactured from superior quality of leather, procured from reliable vendors. Our range of Kids School Shoes includes Kids School Shoe, Smart Kids School Shoe, Simple Kids School Shoes, Funky Shoe and Stylish Kids Shoe. We offer this entire range at much genuine prices. Maven Impex offers a comprehensive range of Kids School Shoe, which are widely appreciated for its quality, comfort and durability. We export our products in various countries such as USA, Australia, New Zealand, Indian Subcontinent, Europe and many other countries. Each product is undergoes a stringent quality test under supervision of our quality controllers team. Maven Impex provide an extensive assortment of Simple Kids School Shoes, manufactured from superiorquality of raw materials. MAVEN IMPEX offer customized products as per the needs and requirements of our valued customers. The simplerlook of the shoes make it more demanding among school going kids. This range of Kids School Shoes is available with us at comfortable prices. Being one of the renowned manufacturers, exporters and suppliers of Footwear, we offer a wide range of Stylish Kids Shoe. The product is fabricated from superior quality of raw materials, procured from reliable and certified vendors. The product is well tested at each level of production by our expertise quality controller’s team. The product is available with us at competitive prices. 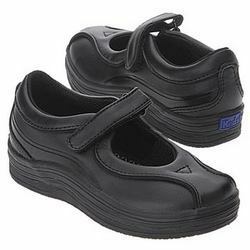 We are one of the leading manufacturers and suppliers of the wide assortment of Smart KidsSchool Shoe, which is high in demand among customers for its uniquefeatures such as durability,comfort, material strength and design. Our team of experts speciallydesigns the shoes to make it more comfortable for kids to wear in any activity while they study or play in the school. Looking for Kids School Shoes ?